A FEW OF MY FAMILY MEMBERS KNOW OF YOU, THIS WAS THE FIRST TIME I SAW YOUR WORK! YOU FUNNY TO ME! SUCCESS TO YOU! -MECCAGLOBAL. @MECCAGLOBAL Let the people know where you’re originally from? 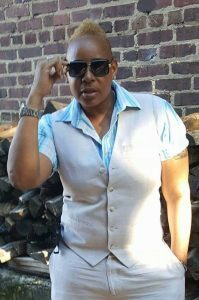 COMEDIAN TONI BYRD I grew up in Long island city / Queens bridge projects 41st side of Vernon. @MECCAGLOBAL When did you make the decision you wanted to pursue comedy? COMEDIAN TONI BYRD When I finally REALIZED I was funny. I realized I had a gift to make people laugh. @MECCAGLOBAL Who were some of your comedic influences? COMEDIAN TONI BYRD Martin Lawrence Eddie Griffin Bernie Mac Richard Pryor and the queen of comedy Sommore. @MECCAGLOBAL What’s the hardest part about being a comedian? COMEDIAN TONI BYRD Staying Humble. And staying focused. @MECCAGLOBAL How do you feel when you see other comedians going back and forth beefin, or see other comedians disrespecting our legend comedians who paved the way ? @COMEDIAN TONI BYRD Well I don’t like what I see amongst us. Comedy is very very competitive, and it’s a cut throat game. I’m grateful for the gift that we have as comedians. I just wish we had more respect for eachother’s craft. 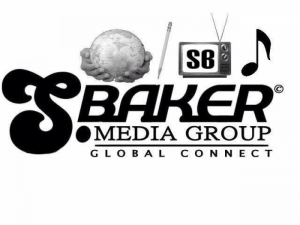 @MECCAGLOBAL What advice would you give the younger Youths in middle school, or high school of today pursuing comedy? COMEDIAN TONI BYRD The joy is in the journey. To thine own self be true. @MECCAGLOBAL What would you say to other comedians out there right now who think being a comedian is a simple walk in the park, explain to them the grind of putting in hard work. COMEDIAN TONI BYRD Comedy is hard work and dedication. You Must develop on that stage first, and that takes time. if you run to fast…you just might fall. Always remember the joy is in the journey. @MECCAGLOBAL What clubs and venues would be your perfect dream performing in front of? @MECCAGLOBAL What’s the difference now when you step on stage at your comedy shows, vs when you first started? 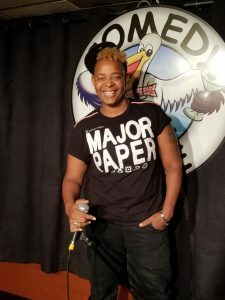 COMEDIAN TONI BYRD When I first started comedy I was unsure if the audience would like me, but Today I know they Love me. @MECCAGLOBAL What would be your dream comedian tour if you could pick a line-up to go out on the road with , past present, or future comedians alongside you?